New materials pictured below are coming soon! We still have current materials on hand, so let us know what you need. Two-sided information card. 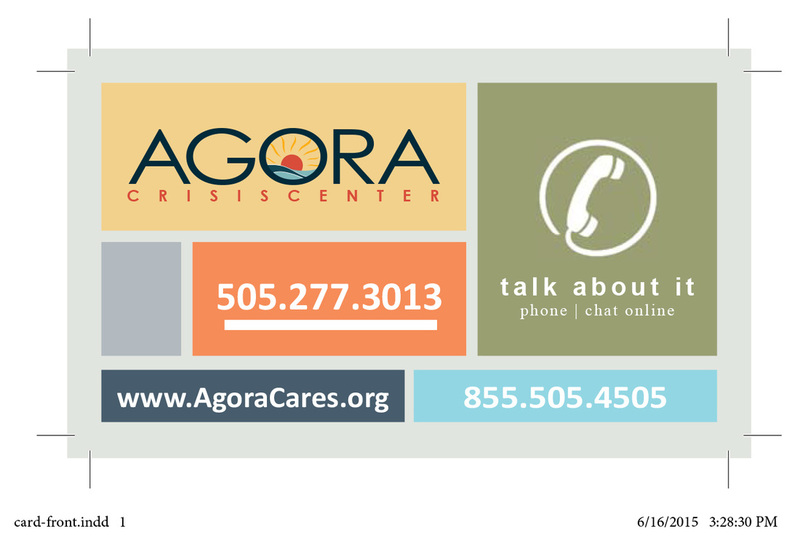 2" x 3.5"
Agora can provide you with posters, brochures and cards to give out to your friends, family, neighbors, clients, students...or anyone else you can think of!